EwingCole is a nationally recognized architecture, engineering, interior design, historic preservation and planning firm of more than 350 professionals. New construction of new 178,950 Sq Ft five-story (4 floors above ground and one floor below ground), 146-bed pediatric hospital that is designed to look like a castle. New construction of the 10,000 Sq Ft single-story building; consisting of a shooting range area, range control room, classroom, and miscellaneous support areas. US Department of the Navy. Human Resource Services Center – Northeast region (HRSC-NE). Relocation Civilian Personnel Office to the Naval Support Activity. Renovation of a Building 9 originally built in 1942. The initial goal of this project was conversion of 70,000 Sq Ft warehouse into modern office space. 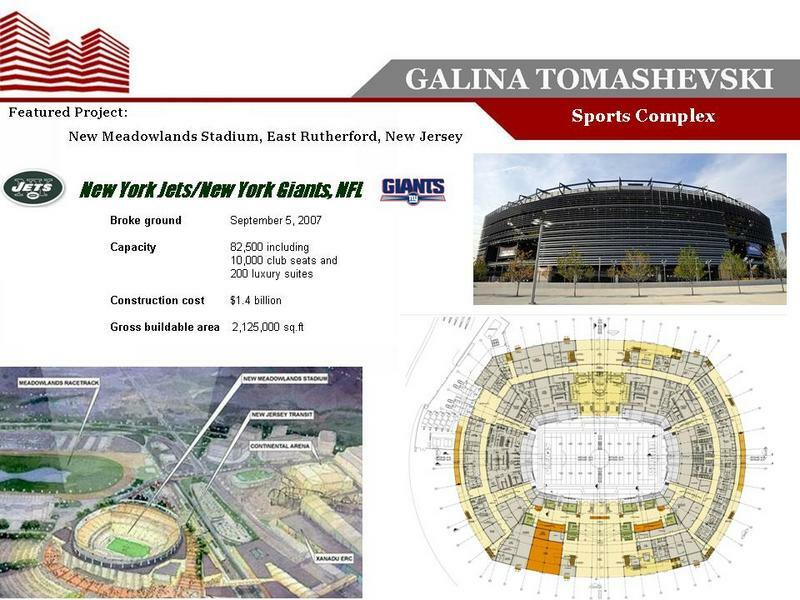 New 2.2-million Sq Ft open-air football stadium to seat 82,500 spectators. Albert Taus & Associates is a private company located in Philadelphia, PA provides a full range of architectural services, including Interior Design, Space Planning and Engineering. Clients range from prestigious developers to franchises. 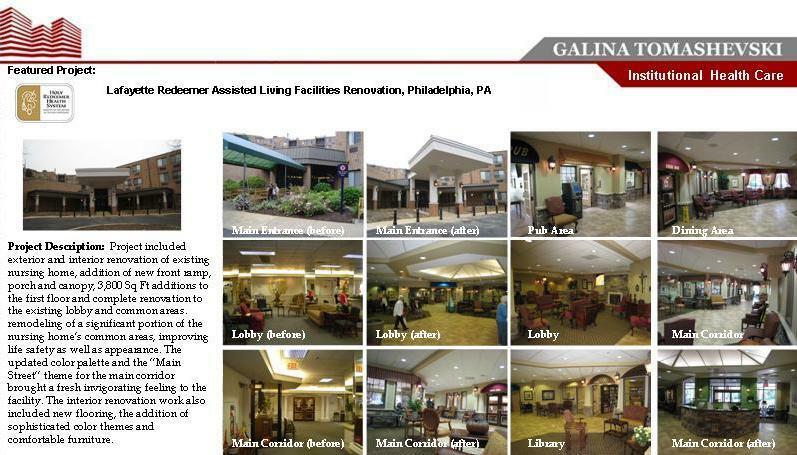 Retirement Assisted Living: Lafayette Redeemer Assisted Living Facilities Renovation, Philadelphia, PA Addition of new front ramp, porch and canopy, 3,800 Sq Ft additions to the first floor and complete renovation to the existing lobby and common areas. Multi-Family & Custom Residential: Narraticon Luxury Apartments & Townhomes, Deptford, NJ – New construction of two-story buildings with garage area. 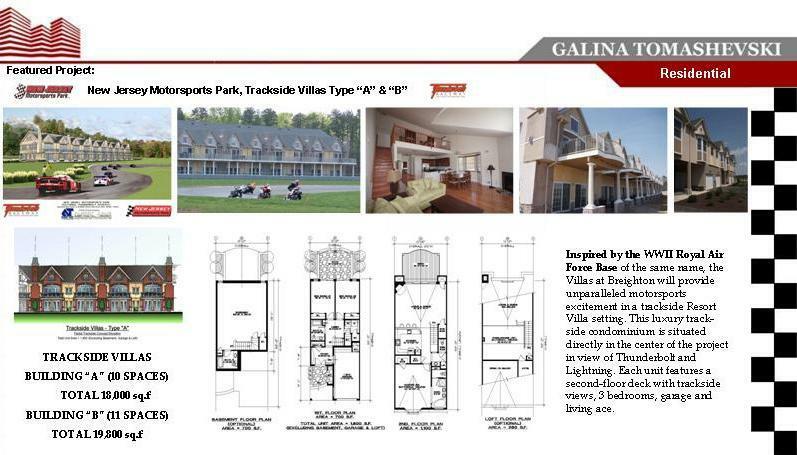 New Jersey Motorsports Park Villas at Breighton, Millville, NJ – New construction of Trackside 2-story townhomes. Feinberg & Associates is a multi-disciplinary firm. The scope of services that this firm provides to local, regional and national real estate development companies includes site planning and concept designing, landscape architecture, testimony through the approval process, construction documents development, and project management. Jeremiah Trotter Residence, Hainesport, NJ – New two-story 6,504Sq Ft luxury single-family residence. Lofts at Washington Town Center, Robbinsville, NJ – Washington Town Center is a Loft-style condominium and comprised of one, 3-story brick faced condominium retail/office building with space 50,000 Sq Ft per floor. SieMatic® Möbelwerke is a cabinet manufacturer based in Löhne, Germany, specializing in luxury kitchen cabinets. SieMatic is recognized as one of the leading international brand names in kitchen design, known in more than 50 countries worldwide. PFPC Global Fund Services, Inc.
is a leading provider of processing, technology and business intelligence services to asset managers, broker/dealers and financial advisors worldwide. Stainless Steel and Metal Fabricators Inc. Stainless Steel & Metal Fabricators Inc. is the custom metal fabricator in Miami area specializing in the design, fabrication and installation of custom metal products for the commercial, residential and industrial markets. Prepared shop drawings of Stainless Steel Cladding at Domed Skylight Roof, lighting fixtures, cast bronze elements for “A Walk on the Beach” and stainless steel elements of“Harmonic Runway” pedestrian walkways. Completed in 1996 a $2.3 million project for renovation of the entryway and lobby. The Research Institute of the Theory and History of Architecture and Town Planning of the Russian Academy of Architecture and Construction Sciences (NIITIAG RAASN) is a unique scientific centre directed to historical and theoretical researches of Russian and world architecture. US Department of the Navy. Human Resource Services Center –Northeast region (HRSC-NE). Relocation Civilian Personnel Office to the Naval Support Activity. Renovation of a Building 9. Team Captain of University competitive Classical Ballet and Folklorico Ballroom Dance team. Experienced in Health Care, Hospitals, Military Construction, Educational, Commercial, Retail, Institutional, Residential, Industrial, and Historical Rehabilitation projects. When I think of Architecture, I can't help but think about the aesthetics of living. Not Martha Stewart Living, per se' real life situations. There are things in life that simply give us joy, and don't need to be justified or explained. There is no reason to live in a house or work in a building that makes us feel "good" if we have the opportunity to do the same in a space that make us feel “giddy”. My portfolio includes work across a spectrum of industries and uses. Taking pride in developing a diversity of projects rather than “specializing” I have completed projects that allow me to offer a broad range of design ideas, implementations, and experience that would not be available with specialization. "Get the job done right the first time, every time"
You may ask: "Why Should We Hire You?..." Because with my track record for producing quality design work both in budget and within schedule, I believe that my skill set has much to offer a firm with high design standards and dynamic workflow requirements.Service oriented, very strong creativity problem solving skills, adept at prioritizing critical tasks and juggling multiple projects simultaneously are just a few of the assets I have to offer. My goal during the architectural process is always to take steps toward the goal line (project construction) with minimal wasted time and effort. In addition to the above I am well-organized, fast, and efficient. I am very easy to work with, and know how to handle difficult situations and personalities with finesse. I employ humor in the mix, and if you check with my references, you will find that not only I have a thorough design skills, I’m just plain fun to work with. I am one who seeks out new challenges and knowledge while striving for project and firm success.